We are currently brewing tiny 300l batches and hand bottling everything at the winery in The Strathbogie Ranges who are responsible for the fantastic wines of Pacha Mama, White Stripes and Cloak and Dagger. While our production capabilities are restricted we will limit our packaging to 750ml bottles with irregular seasonal releases. If you would like to get your hands on some Molly Rose beer, please feel free to contact us and we can help sort you out. This beer came to me whilst travelling Belgium and I knew she would become part of the Molly Rose family. The first Molly Rose beer to be produced year round. Matilde is a Saison fermented with a blend of yeast and Brettanomyces. Bottle conditioned, she will age gracefully if cellared well will evolve over 12-18 months; moving from citrus, spicy and fruity to earthier and more savoury tones. Tom typifies the ideal of a great mate. Loyal, kind, generous, always has time for a beer and a chat. He allows you to use his name while launching your brewing company. Several years ago, due to a mishap in the brewery, there was some wasted grain, from this trash came a treasure of a beer and Sour Tom was born. I recommend you get in touch with Tom at his new project Sunlight Liquor and taste some of his delicious sparkling mead! When your brainstorming sessions are fuelled by a bunch of beers and even more coffees you know you are going to push the boundaries. We started with hot filtered Ethiopian coffee roasted by Dawn Patrol and didn't want the delicate flavours of the coffee hiding anywhere. 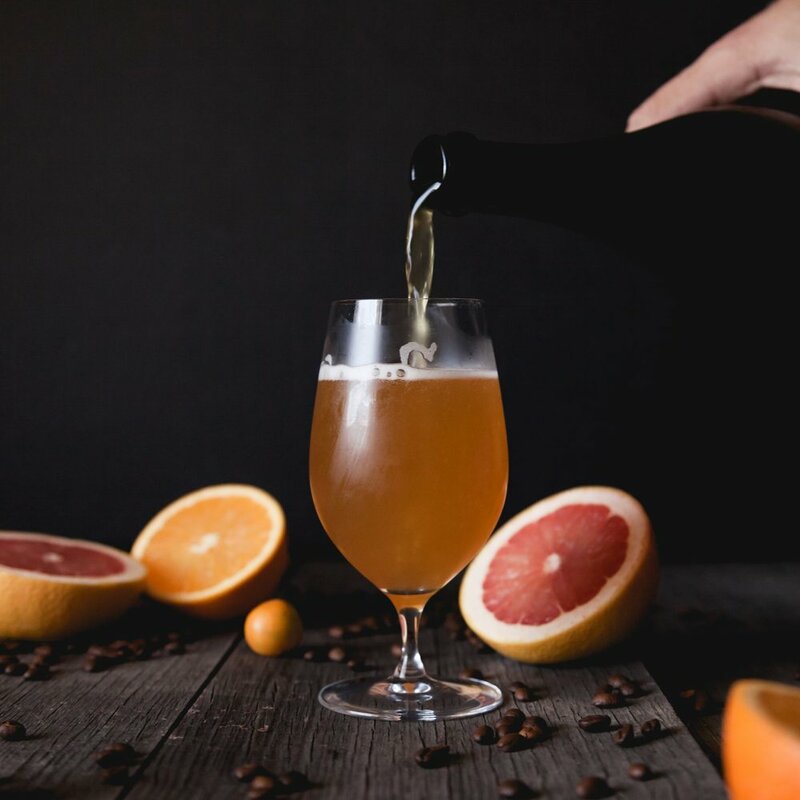 So why not a bright, tart refreshing sour beer chock full of grapefruit and mandarins? I fell hard for IPAs on my trip to the USA. From North to South, East to West, carefully crafted, brewery fresh IPAs are something very special. This beer was my interpretation of an “American IPA”; big, bold, boozey and bitter. I love pale IPA’s that are smooth and lean and let the brewers blend of hops come singing through. In this one I chose west coast classics Cascade and Centennial to match with new kid on the block Mosaic and Aussie contender Ella. I reckon IPAs should not spend time on shelves so have shipped this guy out to you at the very peak of his life. Get him in the fridge and enjoy him asap. Japan was the first stop on my worldwide exploration of beer cultures and traditions and it was probably the most exciting and eye opening destination. The eating, drinking and hospitality culture blew me away. There was balance and attention to detail in everything. I ate and drank anything and everything I could get my hands on, I loved it. Kuro is my homage to Japanese food; their use of umami and quest for balance. Cherrywood smoked malt provides a sweet savoury character while the kombu provides salty, seaside type savoury notes.